If you ever get a wake-up call, answer it. Ever brought a dog to the beach? It’s one of the most fun things you can do. He could run over suntanning tourists. Make a dash for the waves. Or sniff around the sand for something to dig out. You never know, but you let him be. If he does something he shouldn’t be doing — like chewing the bits of a beached whale — you’d yell at him to stop and go do his thing somewhere else. 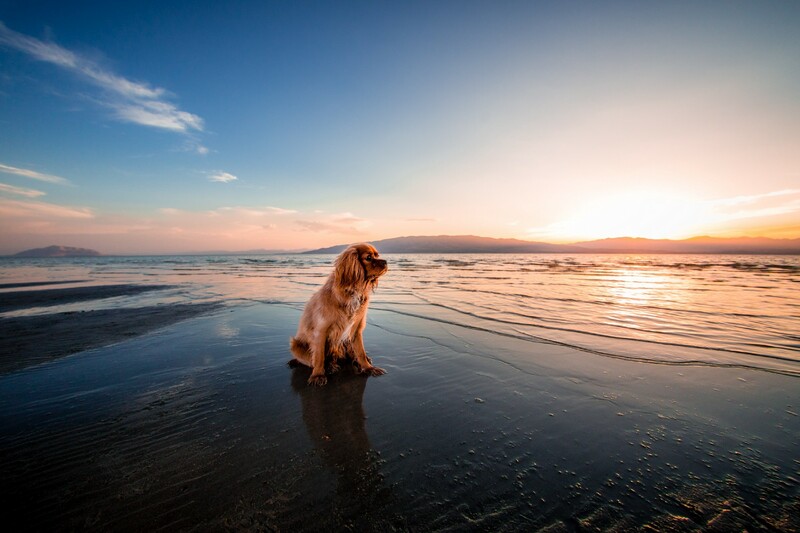 In life, sometimes we’re like a dog on a beach. We’re free to roam. We get distracted by everything. We’d like to think we know what we’re doing, even when we don’t. But when we’re messing around with the wrong thing, there is no well-meaning owner to pick us up and drop us onto where we’re meant to be. If we’re lucky, all we get is a wake-up call to remind us that we’re not doing what we should be doing with our lives. Many people go through life without living out their potential. Motivational guru Les Brown says the richest place in the world isn’t the bank, it’s the cemetery. It’s where too many people leave their unused gifts and talents behind. Are you living out your potential? And I don’t mean “living up to” your potential, which implies scaling up more than stretching out. Living out your potential isn’t about climbing another rung up the corporate or social ladder. It’s about ditching the ladder for a trampoline if that’s what you feel you’re meant to do. You’re driving a nice car. Your numbers topped the department again. Your colleagues admire you and your boss adores you. But for some reason, the luster of success doesn’t seem to stick. It’s just you being great at something you secretly wish was something else. That something else is what you truly want to be in life. You pine for it but you can’t have it. It’d be like having an affair behind your life’s back. 2. You think about your childhood dreams. A lot. When we were children everything was always clear. You were brave, so you wanted to be a fireman. You were kind and compassionate, so you wanted to be a nurse. You liked muscles and tights, so you wanted to be a WWE wrestler. It wasn’t complicated. It was the real you wanting to be the future you. Along the way, Life happened. Family, friends, the economy, money — somehow conspired to derail your childhood dreams. You need to happen back to Life. Live the life you have always imagined. 3. You wonder if this is all there is to life. Ask yourself, if everything has to end tomorrow — like a giant asteroid crashing into Earth and shutting everything and everyone down — how would you feel? Dying’s a lot worse than it is if you have unfinished business. Would you be screaming like Mel Gibson in Braveheart when they were doing carpentry to his bits? Or would you have a visibly contented smile like Kevin Spacey in American Beauty? We’re not talking about user names and profile pictures on social media here. We’re talking about people with childhood nicknames only you would know. People whose faces you’ve seen laugh lines grow on. Old friends are a fail-safe reminder of your identity as a person. They know you before you became a job title in the working world. If they can no longer relate to you or don’t feel the same way about you, maybe you’ve drifted too far from your core. I’ve seen many important-looking executives on the park bench during lunchtime, with a sandwich in hand and a glazed-over look on their faces. If you spend your life on the wrong things, it’s easy to spot and admire someone who are spending their life doing the right thing for them. Many of us struggle through life not because we’re unsuccessful in what we do. We struggle with being successful at something we settled for as a way of life. This could be for a variety of reasons: financial needs, an avoidance of change, or the expectations of others. But when we settle for a life smaller than what our potential, we’re missing out on the joy of living. Nobody has written the instruction manual to life. Maybe it would be easier if everything was clearly laid out for us to follow. But it could also make life completely unlivable. Only you know your potential and your dreams. If you ever get a wake-up call in life, don’t hit the snooze button. If you liked this article, please click the 💚 below so others can read it on Medium. For more stories like this, follow me on Medium or Twitter. Visit my new website newandimproved.me to download “Adversity to Advantage” — my free worksheet to help you reframe your challenges and refocus on your goals. Thanks!